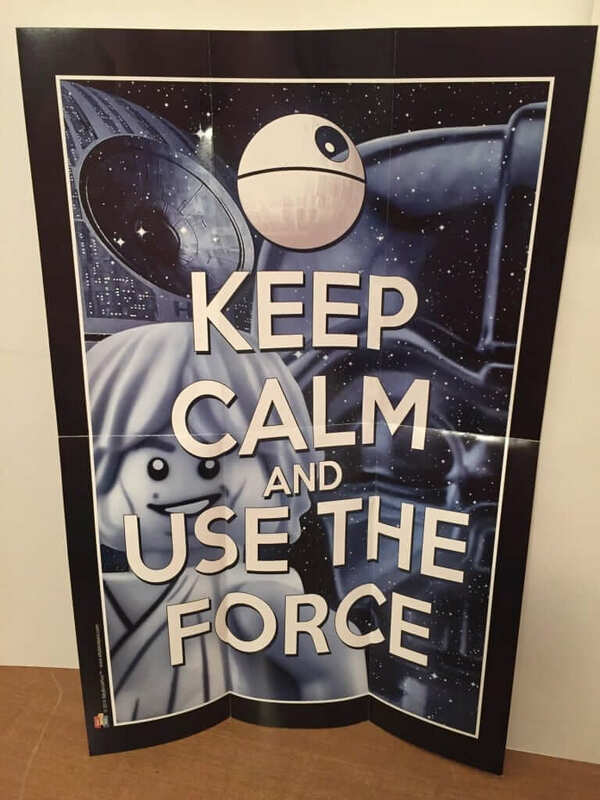 Brick Builders Club got on the Star Wars “train” in December with a Star Wars themed BrickSwag box. This made it all that more exciting. The first thing we noticed when we opened it was a very nice Star Wars themes t-shirt. 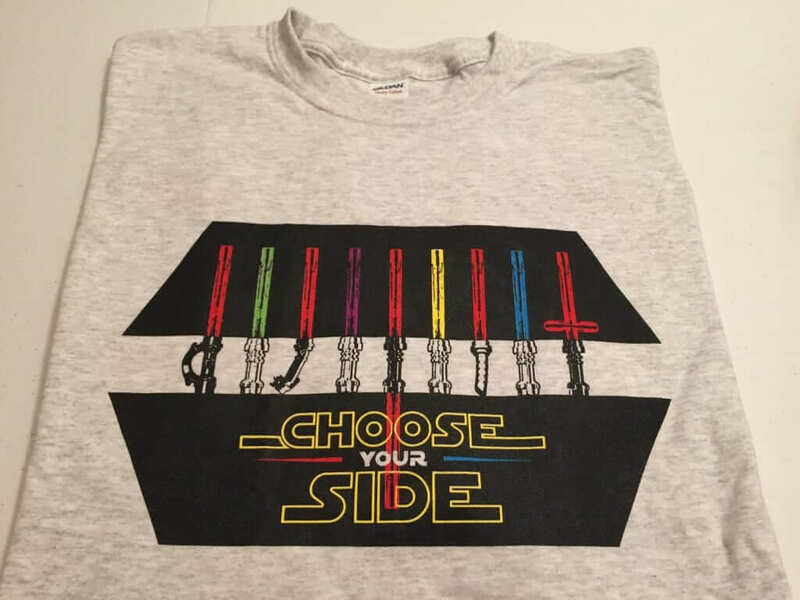 This shirt is pretty cool because it shows the different light sabers and asks you to choose a side. It’s a very nice, quality shirt and one that I’m sure will be worn often. This 47-piece set makes a nice little addition to anyone’s Star Wars Lego collection. There was also another small lego set in a blue package and it’s a mystery what’s inside until you open it. 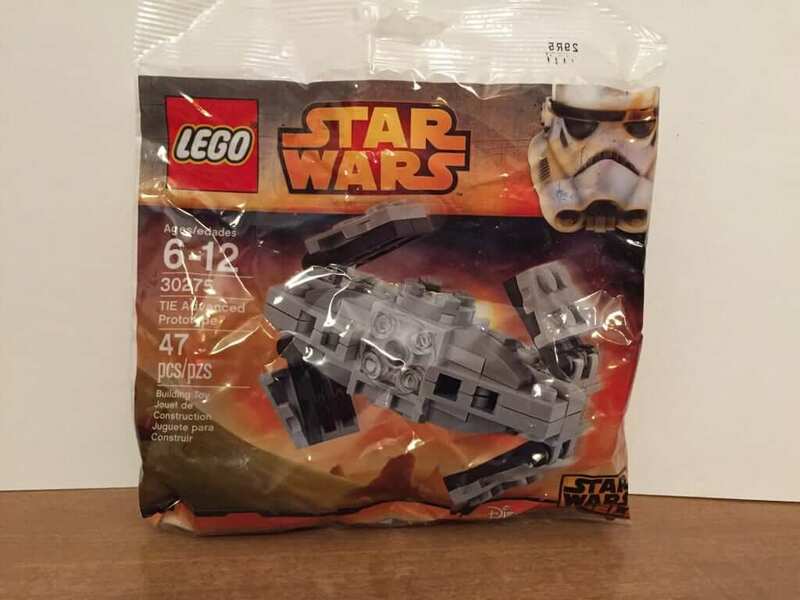 You had the chance of either getting a Tie Fighter or X-Wing Fighter Set. These posters they include in their boxes seem so clever and they are made with quality paper. I like the size of them as they don’t take up a huge amount of wall space. 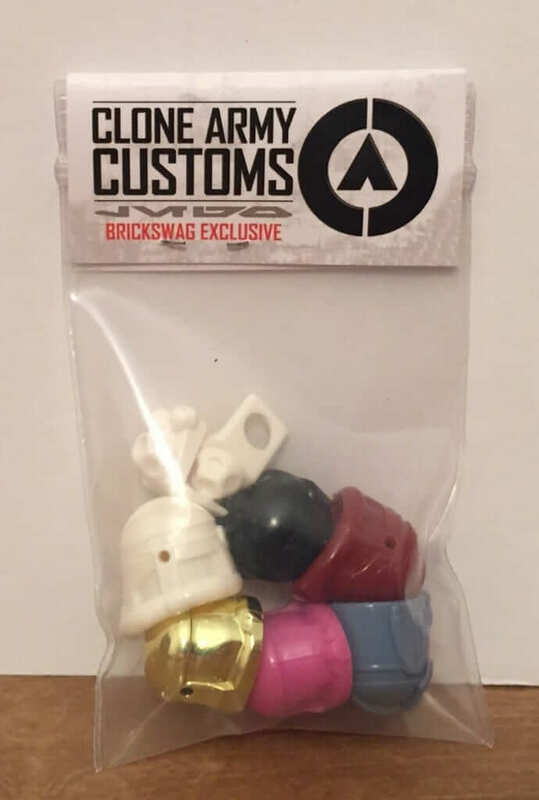 We also found a small bag of different helmets for the Star Wars Clone Army. 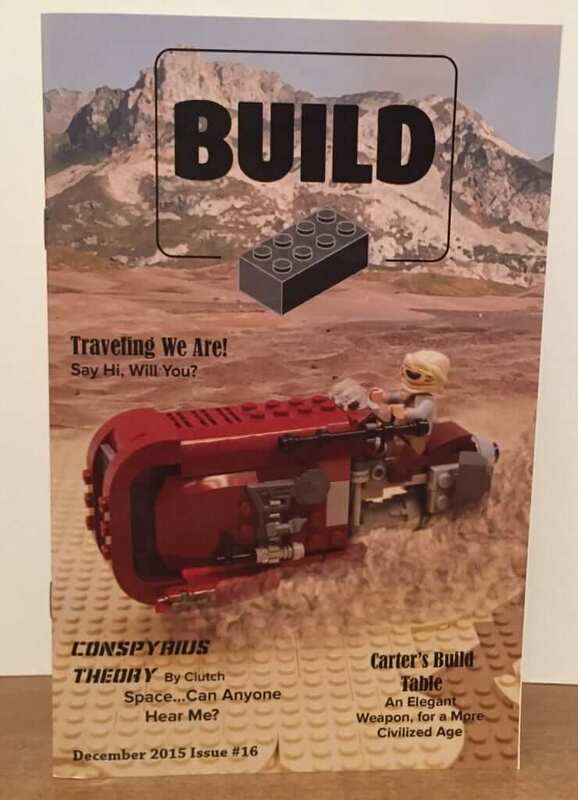 Finally, they always include the Build Magazine. In this little magazine, you will find pictures of BrickSwag subscriber selfies or photos of them and their box. BrickSwag always picks a few to highlight. Brayden hopes to make the book someday. This magazine also has instructions for the Lego set that is included in the box as well as other Lego building ideas. As usual, there was a small brick displaying the month of December and the cool thing about this brick is the fact it’s written in Star Wars Type Font. 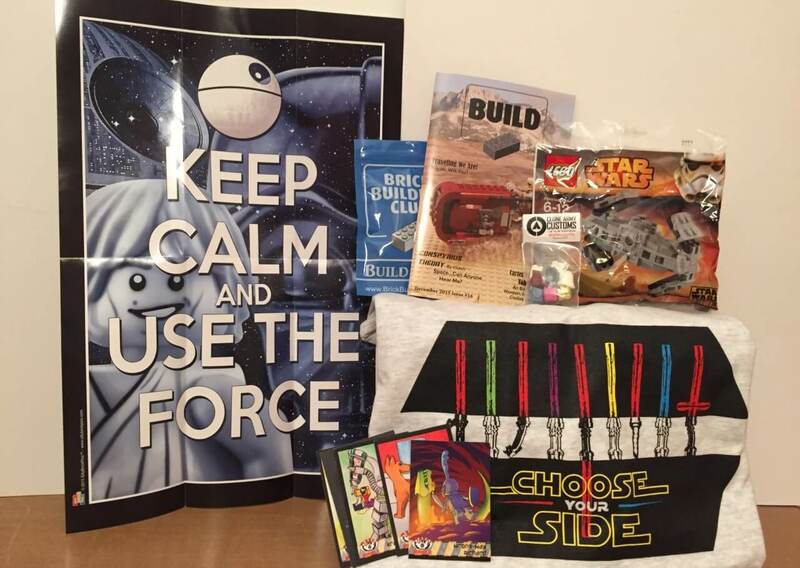 For the Star Wars fan, this Brick Swag box was great! I really liked the lightsaber inspired t-shirt and, of course, we always have fun putting Lego sets together. Remember, if you would like to subscribe and start getting your own BrickSwag boxes, check out their website. 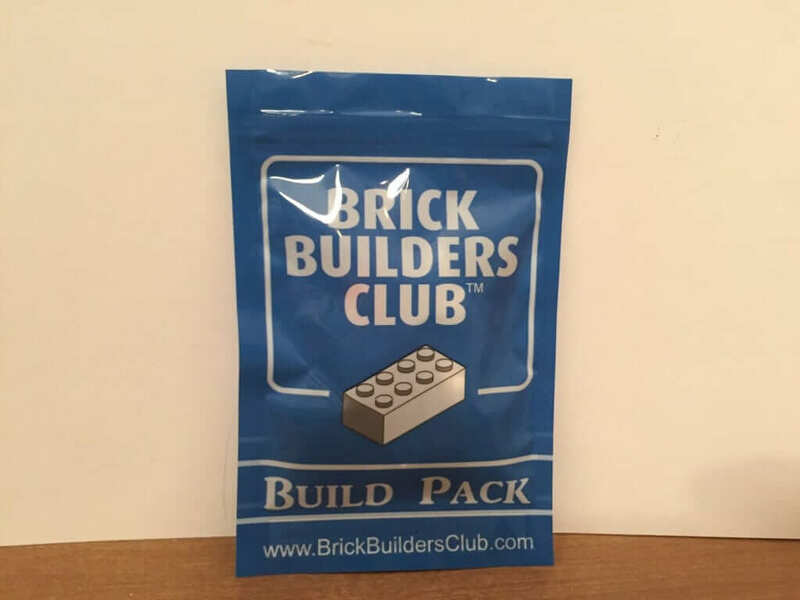 Special thanks to Brick Builders Club for allowing us to review and share their December box!